Elegant black and white swans feature on our Odette Pacer Jay Back. 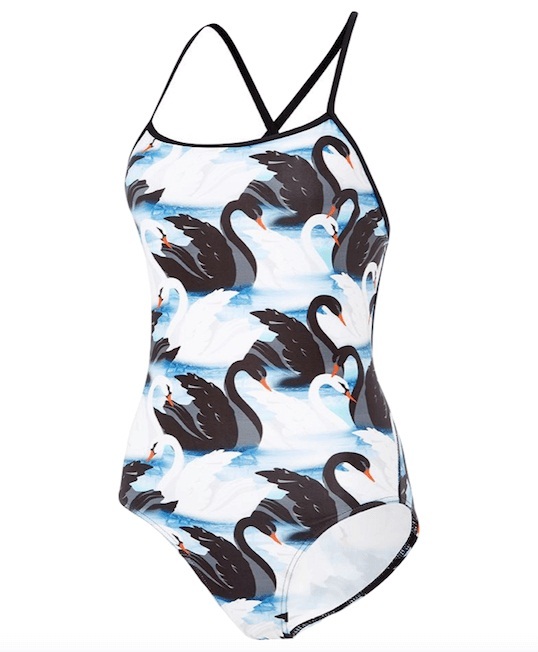 The use of black straps keeps the focus on print while the hint of orange on the swans beaks gives a splash of colour. 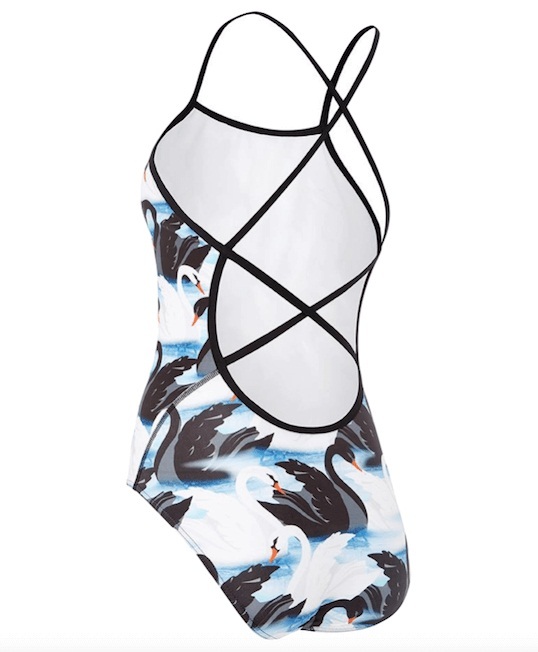 We hope this costume will have you gliding through the water too!